In questa immagine, scattata dal telescopio spaziale a raggi X Chandra della NASA, sono visibili 2.076 buchi neri supermassicci in altrettante galassie. The image above shows a piece of the sky in the constellation Fornax, and it's about 16 arcminutes across. By comparison, your pinkie's fingertip is about 60 arcminutes across and the moon is about 31 arcminutes across. Chandra says about 2,076 galaxies (and their supermassive black holes) are lurking in the photo, which they called "the deepest X-ray image ever obtained." 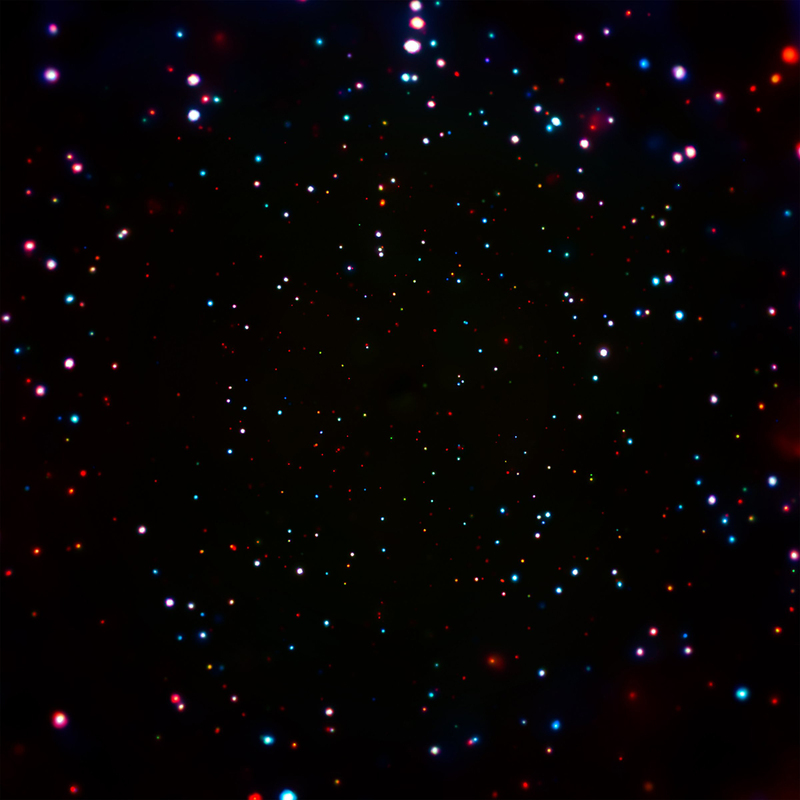 The dots reveal the locations of the supermassive black holes. Astronomers can "see" these monsters because they round up stars, gas, and dust in a region called an accretion disk, which gets very hot and emits the X-rays. Low-energy X-rays are shown in red, medium-energy in green, and high-energy in blue. These galaxies are between 11.9 and 12.9 billion light-years away from Earth — so distant it's like looking back in time. Stephen Hawking rivoluziona la sua stessa teoria sui buchi neri tentando di conciliarla con la seconda legge della termodinamica. Un orizzonte apparente sostituirebbe l'orizzonte degli eventi permettendo a energia e informazioni di sfuggire, in alcuni casi, al campo gravitazionale di un buco nero. 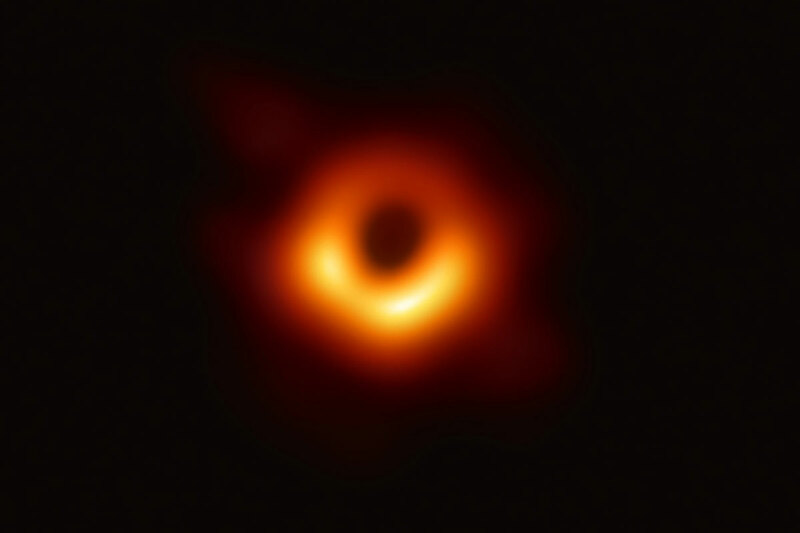 Most physicists foolhardy enough to write a paper claiming that "there are no black holes" -- at least not in the sense we usually imagine -- would probably be dismissed as cranks. But when the call to redefine these cosmic crunchers comes from Stephen Hawking, it's worth taking notice. In a paper posted online, the physicist, based at the University of Cambridge, UK, and one of the creators of modern black-hole theory, does away with the notion of an event horizon, the invisible boundary thought to shroud every black hole, beyond which nothing, not even light, can escape. In its stead, Hawking's radical proposal is a much more benign "apparent horizon", which only temporarily holds matter and energy prisoner before eventually releasing them, albeit in a more garbled form.